For Mother’s Day, birthdays and other celebrations, I enjoy edibles….goodies that I normally wouldn’t make or purchase for myself. It’s a special treat, a little indulgence that I can enjoy with a cup of coffee or tea. 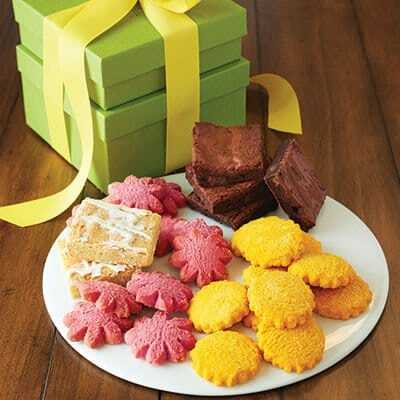 We’re nibbling on Dancing Deer’s Spring gift package this week, with flower-shaped shortbread cookies – lemon and lemon-raspberry flavored. They also included two lemon bars in the beautifully gift-wrapped box. Not too sweet, not too tart, just perfect. For cookie lovers, how about a tower of goodies? 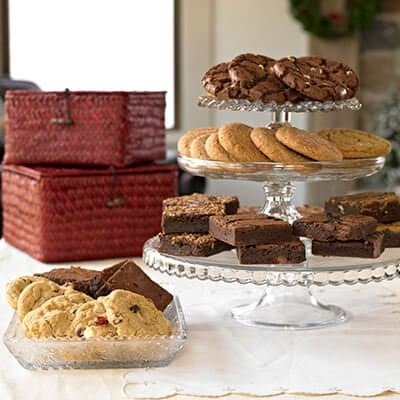 It comes in 2 beautiful baskets filled with Triple Chocolate Cookies, Cappuchino Brownies, Snickerdoodles, Caramel Pecan Cookies, and more. 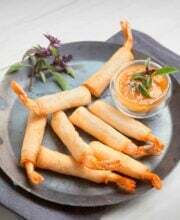 Check out Dancing Deer Baking Company’s fun gift ideas for your favorite person. Dancing Deer provided the cookies and $50 store credit for this giveaway.